Plus plenty more secret exclusive Book Club member sales, too. Get behind-the-scenes pics of my illustrations-in-progress for my next children's book! Sounds fun! Sign me up for the book club! Get all the Goodies. Join the Book Club. 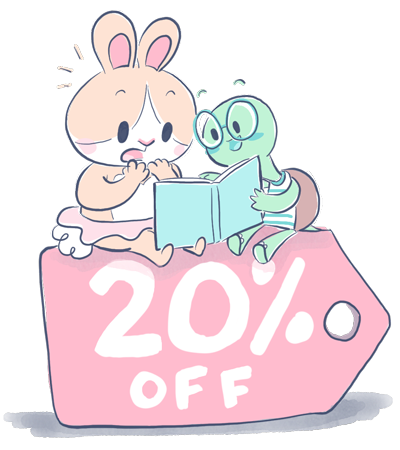 …Starting with your 20% off coupon code & Book Club Perks, of course!